2016 weren’t easy for airlines around the globe that continue to struggle with ways of finding pilots to fill cockpit seats. 2017 is expected to be an even more pressing year, as Boeing, Airbus and other manufacturers keep accelerating their production, while the already small pool of qualified FOs and PICs grows at a significantly slower pace. As a result, the shortage of pilots puts airlines in a position of headhunting in a desert, where aggressive hiring bonuses don’t give the anticipated outcome and companies are forced to look for options outside the box and in social media. In fact, experts note that employer branding and its advertising through social media might be a major factor in pilot recruitment in 2017. “Europe alone lacks somewhat 4000-5000 pilots. 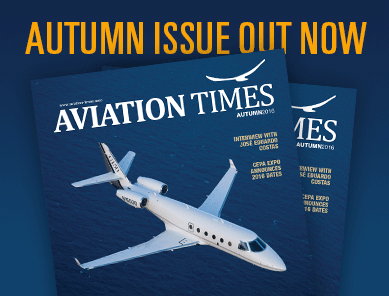 And while the highest demand is for experienced cockpit crew, there is also a long-term problem of an overall decline in popularity of aviation professions within the general public. As more and more youths feel attracted to career opportunities in IT or finance, fewer young people consider piloting as attractive profession. 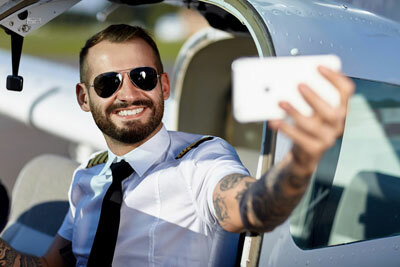 Eventually, the industry may end up lacking not only experienced, but junior pilots as well,” explains the gloomy trends Skaiste Knyzaite, CEO of AviationCV.com. In order to overcome the growing pilot shortage issues, major airlines are actively reconsidering their hiring strategies – instead of simply increasing remuneration, they invest into employer branding. According to S. Knyzaite, there are many experienced pilots who may prefer working for a well-known company at a lower wage, rather than earning a larger salary while working for a carrier with poor image or no brand awareness at all. “An airline’s brand is aimed not only at the passengers, but employees as well. It gives them added value, which includes the sense of pride in working for that particular company. The same thing goes with the upcoming generation of pilots – millennials – who will take over the cockpit seats in the upcoming 10 years,” says the CEO of AviationCV.com. Research from Florida International University suggests that millennials appreciate jobs that do social good and will take on positions with lower pay if the job is more to their liking. Thus airlines, like any other employer, need to shape the work place around these lines – and continuously broadcast it to the target group. “Airline branding campaign for the pilots should not be any more constrained in medium than it is when marketing to customers. Text, images and videos are great, but so are infographics, interactive presentations, social campaigns and anything else you can come up with,” explains S. Knyzaite. When it comes to channels through which the airlines might develop their employer brands, social media plays a vital role. Some airlines already exploit various platforms to communicate with current and existing employees. For instance, Irish carrier Aer Lingus was the first one to employ Snapchat. A prospective hire using the app could see employees participating at charity events, graduate fairs, and award ceremonies, and, most importantly, cockpit visits and wing shots. However, it’s Southwest Airlines that best uses the platform to market to potential employees. By dedicating a post to say good-bye to a departed colleague, they tell a potential pilot recruit that they will be noticed in airline. As for the production of such content, the employees can be a good asset. Finnair already has two Instagram accounts: one is run by a pilot who emphasizes flight planning, the other – by a flight attendant who underlines the security measures. When pilots and flight attendants share their work stories online, they not only show what happens behind the scenes, but also demonstrate that the people are happy to work at the airline. At the same time, videos and posts on social networks aren’t the only things that boost the signal. Articles and interviews put on mass media, blogs and even the company’s own websites can shape the opinion of a potential pilot-employee. Both experienced and young pilots are eager to see how daily work at a specific airline looks like. Share the post "Using Social Media Marketing for Hiring"